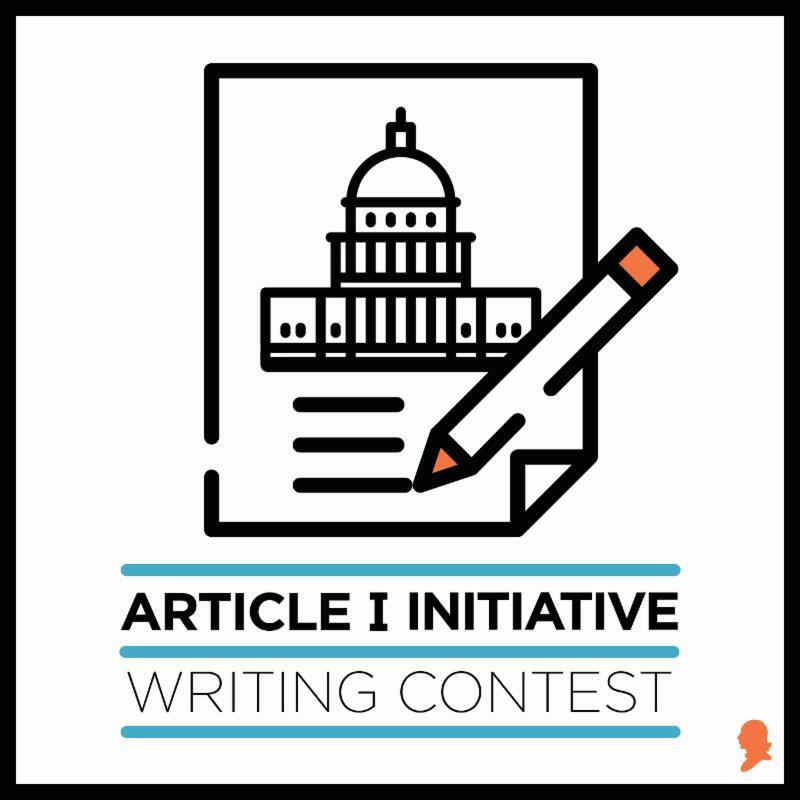 The goal of the RPTE student writing contest is to encourage and reward law student writing on the subjects of real property or trust and estate law. The essay contest is designed to attract students to these law specialties, and to encourage scholarship and interest in these areas. Articles submitted for judging are encouraged to be of timely topics and have not been previously published. This contest is open to all law and LL.M students currently attending an ABA-accredited law school. See the official contest rules and entry form for details. Free round-trip airfare and hotel accommodations to the RPTE Fall Leadership Meeting in Chicago, IL, September 27-29, 2018. This is an excellent meeting to network with RPTE leadership! Entries must be received by the Section no later than May 31, 2018. See the official contest rules and entry form for details. *Students must apply and be admitted to the graduate program of their choice to be considered for the scholarship. Applicants to the Heckerling Graduate Program in Estate Planning must hold a J.D. degree from an ABA accredited law school and must have completed the equivalent of both a J.D. trusts and estates and federal income tax course. Applicants to the Robert Traurig-Greenberg Traurig Graduate Program in Real Property Development must hold a degree from an ABA accredited law school or a foreign equivalent non-US school. Visit the University of Miami School of Law webpage for further information on the graduate programs. For more information, please contact Monica Larys at monica.larys@americanbar.org. The Real Property, Trust and Estate (RPTE) Law section of the American Bar Association (ABA) announced the first through third place winners of its 2017 writing competition for students. Harry Dao, from the University of Alabama School of Law, took first prize and won $2,500, a free one-year membership to RPTE, and a free trip to the Fall Leadership Meeting in Monterey, CA. Caitlinn Raimo, from Seton Hall University School of Law, earned second place and $1,500. Shawn Walker, from University of Oregon School of Law, took third place and $1,000. See Letter to Section Officers and Publications Committee, Real Property, Trust and Estate Law. The Competition: This writing competition is made possible by an initial generous gift to the Delaware Bar Foundation from Mrs. Barbara Stargatt and her family in memory of her late husband, Bruce M. Stargatt. Bruce was a distinguished Delaware lawyer who, among many other accomplishments, was a founding partner of Young, Conaway, Stargatt & Taylor, LLP, and a past president of the Delaware Bar Foundation and the Delaware State Bar Association. Writing Topic: In keeping with Bruce Stargatt’s keen interest in legal writing and the ethical practice of law, we invite scholarly papers concerning ethical issues in the practice of law. Beyond this general description, the precise issue to be dealt with is in the author’s discretion. Eligibility: The competition is open to: (i) students enrolled in, and 2017 graduates of any American Bar Association accredited law school, (ii) individuals who have registered for or have taken the 2017 Delaware Bar Examination, (iii) law clerks currently employed by a member of the Delaware judiciary, and (iv) Delaware attorneys admitted for no more than five years. Prizes and Publication: Cash prizes of $3000, $1000 and $500 will be awarded to the top three papers. The first place paper will be published in “Delaware Lawyer” magazine (a publication of the Delaware Bar Foundation, distributed quarterly without charge to all members of the Delaware Bar). The author of the first place paper will be invited to receive his or her prize at the Delaware State Bar Association/Delaware Bar Foundation seminar in Wilmington in the fall of 2017. Prizes will not be awarded if the judges determine that a sufficient number of entries do not meet the appropriate standards. Deadline and Submission: (1) Papers must be submitted by midnight (EDT) on September 15, 2017. (1) Papers must be submitted by midnight (EDT) on September 15, 2017. (2) Papers must be submitted electronically to mflynn@delawarebarfoundation.org. (3) Direct questions to Bruce M. Stargatt Legal Ethics Writing Competition, Delaware Bar Foundation, 100 W. 10th St., Suite 106, Wilmington, DE 19801, or 302-658-0773, ormflynn@delawarebarfoundation.org. (4) Prize winners will be informed on or before November 1, 2017. Rules: (1) No paper that has been previously published in any form will be considered. However, papers written for course credit will be considered as long as they have not been published. (1) No paper that has been previously published in any form will be considered. However, papers written for course credit will be considered as long as they have not been published. (2) Each paper must be the original work of the submitting author. The author must execute and submit with her/his paper the License Agreement attached hereto. (3) The length of the paper should not exceed 2500 words, including the title page, body, footnotes, figures and tables, if any. The Delaware Bar Foundation reserves the right to edit papers for publication due to space constraints when necessary. (4) Citations should be in standard Bluebook form. (5) A cover page that includes the author’s name, contact information and eligibility to enter the competition should be included with the paper at the time of submission. the First Place candidate is enrolled. In order to be considered, two copies of a current legal writing must be submitted to the Foundation c/o Kenneth G. Engerrand, Brown Sims, P.C., Tenth Floor, 1177 West Loop South, Houston, Texas 77027-9007. The article must be accompanied by a letter of recommendation from a law school faculty member or legal professional other than the author of the paper. Only one paper may be submitted on behalf of any student and only one paper may be sponsored by any faculty member or legal professional. The submission must be postmarked no later than August 18, 2017. The submission must contain a separate sheet containing the title of the paper; the name, physical address, telephone number, and email address of the student; and the name, title, physical address, and email address of the student’s sponsor. There is no page limitation or restriction on the topic except that the writing must be on a legal subject. The Foundation will appoint a final judging panel consisting of a law school dean, a federal judge, and a law school professor. The Foundation will not return any material submitted to the Foundation. The 2017 recipient of the Brown Award will be notified by January 31, 2018, and listed with the other finalists at the website www.brownsims.com/about-brownsims/affiliations/-judge-john-r-brown-award. First Place: $10,000 to Nicholas D’Angelo for his paper, EMERGING FROM DAIMLER’S SHADOW: REGISTRATION STATUTES AS A MEANS TO GENERAL JURISDICTION OVER FOREIGN CORPORATIONS, Sponsored by Jane E. Scott, Associate Professor of Legal Writing, St John’s University School of Law, Queens, New York. Second Place: $5,000 to Lindsey Lusk for her paper, MIGHTIER THAN THE SWORD, BUT WHAT ABOUT THE SHIELD? THE DANGERS OF THE FERPA DEFENSE AND NEED TO AMEND THE STUDENT-PRIVACY LAW, Sponsored by, Shannon M. Moritz, Director of Legal Writing, The University of Illinois at Urbana-Champaign College of Law, Champaign, Illinois. Third Place: $3,000 to Yang Wang for the paper, INCORPORATING THE THIRD BRANCH OF GOVERNMENT INTO U.S. NATIONAL SECURITY REVIEW OF FOREIGN INVESTMENT, Sponsored by Ewell E. Murphy, Jr., Adjunct Professor, The University of Houston Law Center, Houston, Texas. Finalist: $1,000 to Crystal Etue for her paper, JOHNSON V. UNITED STATES: A BREACH OF THE SOCIAL CONTRACT, Sponsored by Wendy Shea, Associate Professor of Law, Southern University Law Center, Baton Rouge, Louisiana. Finalist: $1,000 Jean Phillip Shami for his paper, A PROMISE REALIZED? A CRITICAL REVIEW OF ACCOUNTABLE CARE ORGANIZATIONS SINCE THE ENACTMENT OF THE AFFORDABLE CARE ACT, Sponsor, Patricia D. White, Dean and Professor of Law, University of Miami Law School, Coral Gables, Florida. When: Beginning August 1, 2017; deadline for submission is January 5, 2018. Why: To engage new thought and discussion about the proper role of the Congress. 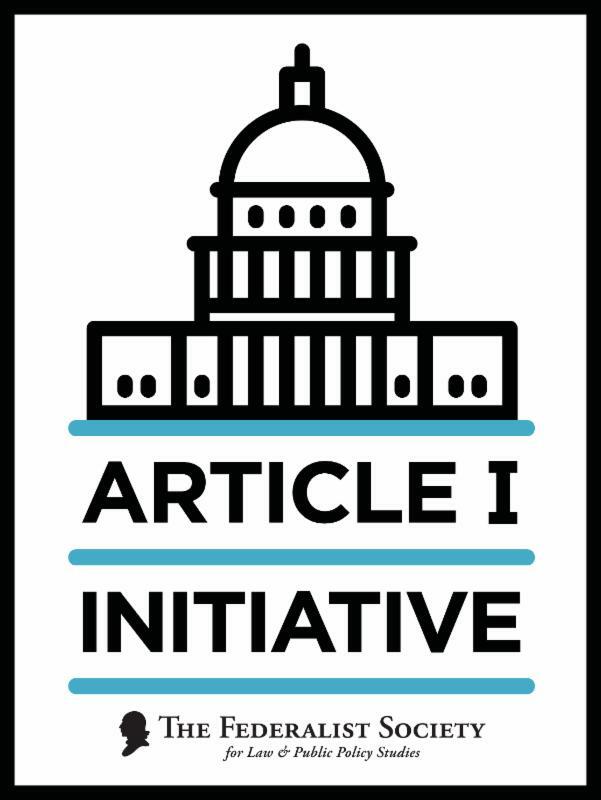 Theme: The Federalist Papers clearly establish that the drafters of the Constitution intended the legislature to be the most powerful branch of government. In its present state, as the government operates on a day to day basis, it is not. We are left to wonder how this came to be. Were the Founders simply wrong about the inherent powers of the legislative branch? Has the institution of Congress developed practices that are not compatible with the text of the Constitution? Why are current Congressional leaders unable or unwilling to act as an effective check on the presidency? Why is Congress unable to pass a budget? Why has Congress ceded much of its authority to the executive branch and to administrative agencies? What does it mean to serve productively as a member of the House or Senate? *Click here for complete rules and the submission form. Reminder: As announced at the July Student Leadership Conference (SLC), Article I programs are a priority for the Society this year. There is even a special incentive for catering at these events! Third prize: $1,000 plus one year's membership in the Section. In addition, all prize winners are considered for publication in the Section's law review journal, The Real Property, Trust and Estate Law Journal, which circulates to 20,000 RPTE members. Contest rules are here: http://www.americanbar.org/groups/real_property_trust_estate/fellowships_and_awards/writing_contest.html. The American Inns of Court invites judges, lawyers, professors, students, scholars, and other authors to participate in its 2015 Warren E. Burger Prize. Authors should submit an original, unpublished, 10,000–20,000 word essay on a topic that addresses the issues of excellence in legal skills, civility, ethics, and professionalism. The winning essay will be published in the South Carolina Law Review and the author will receive a cash prize of $5,000. The submission deadline for the 2015 Warren E. Burger Prize is July 1, 2015. Free round-trip airfare and hotel accommodations to the RPTE Fall Leadership Meeting in Laguna Beach, CA 7-9, 2014. This is an excellent meeting to network with RPTE leadership!